A pull out emergency panel is used for large panels when Safeglass just is not strong enough. Safeglass is great on smaller panels but becomes unstable over larger sizes since it is designed to be easy to break. On large panels (over about 260 x 160mm) it is weak and will break too easily. To combat this, we have developed a stronger Safeglass, called Safeglass PS. It is much stronger - so much so, that it is too difficult to break. We have to make it weaker. After many years of research we have developed a pull out emergency panel. The Safeglass PS pull out panel consists of 2 parts - a thick, outer frame and a thinner inner panel. Small recesses are cut into the frame and these are filled with notches from the inner panel. There is a finger hole in the inner panel. We know this sounds very simple - but as with all development work, it took a while to get right. 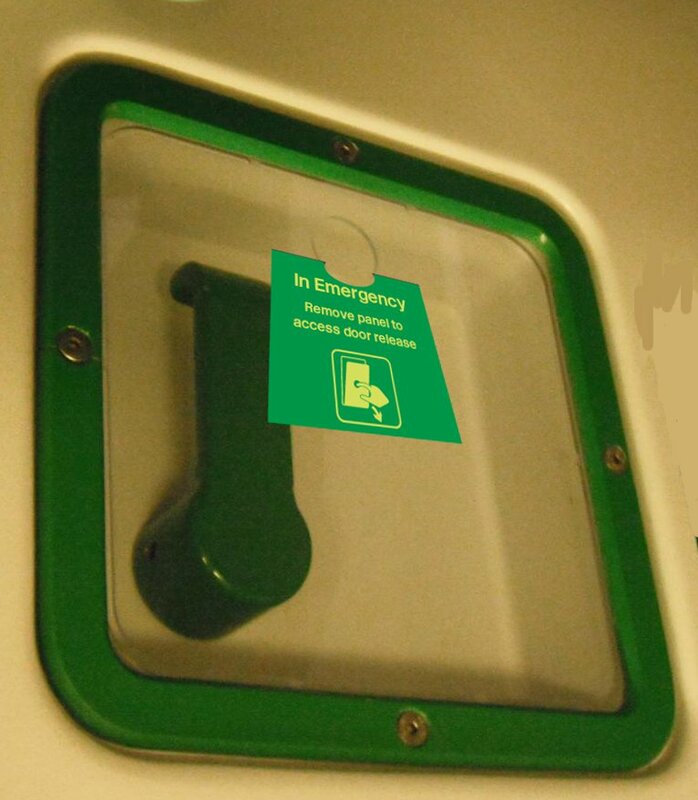 Safeglass PS Pull Out emergency panels can be used in all the places traditional break glass is used - Emergency Door Release, Fire Extinguishers, Hammer Boxes, Emergency Equipment Covers. What is new is that now you can have a large breakglass panel which is safe and easy to break. In the past, toughened glass was used or large pieces of plastic scored with crosses. Neither of these materials provide a good solution.